Most years we have encased our festive gifts for customers in brown boxes, but this year we wanted to do something different, something that demonstrated our new ability to laminate packaging using our in-house Lamina Blackline and really make this year’s Christmas gift box stand out. To do this we embarked on a bespoke design using a local illustrator who worked closely with our Marketing Executive, Suzy Harrold, to produce our packaging artwork. Suzy wanted a design that was traditional but that had a Saxon Packaging twist. 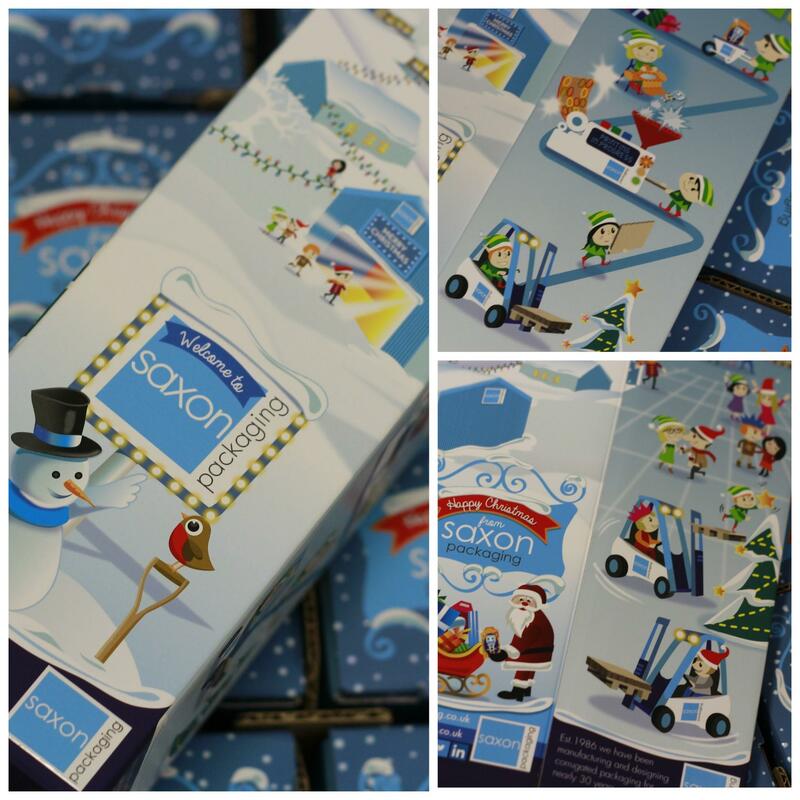 The design was split across the four panels of the Christmas gift box and each had a separate ‘moment in time’ at Saxon Packaging which is portrayed as its very own North Pole. On the front panel you are welcomed to Saxon Packaging by a friendly snowman with a very snowy scene and residents making their way to the Christmas Party (if you have been to visit us in Lowestoft, you will notice the resemblance of the party venue to our real life factory building). The left hand panel takes a look inside the Christmas party and can see Saxon workers celebrating together as they have now closed for Christmas. Although the characters are not a direct representation to the staff at Saxon there are certainly some uncanny resemblances. On the right hand panel we visit the workshop where we can see packaging being manufactured and going from corrugated board right the way through to printed bespoke designed packaging encasing a toy robot. Finally the back panel see’s other residents making their way to the party and Santa with his loaded sleigh ready to start making his drop-offs, of which included is the toy robot seen earlier being manufactured in the workshop. 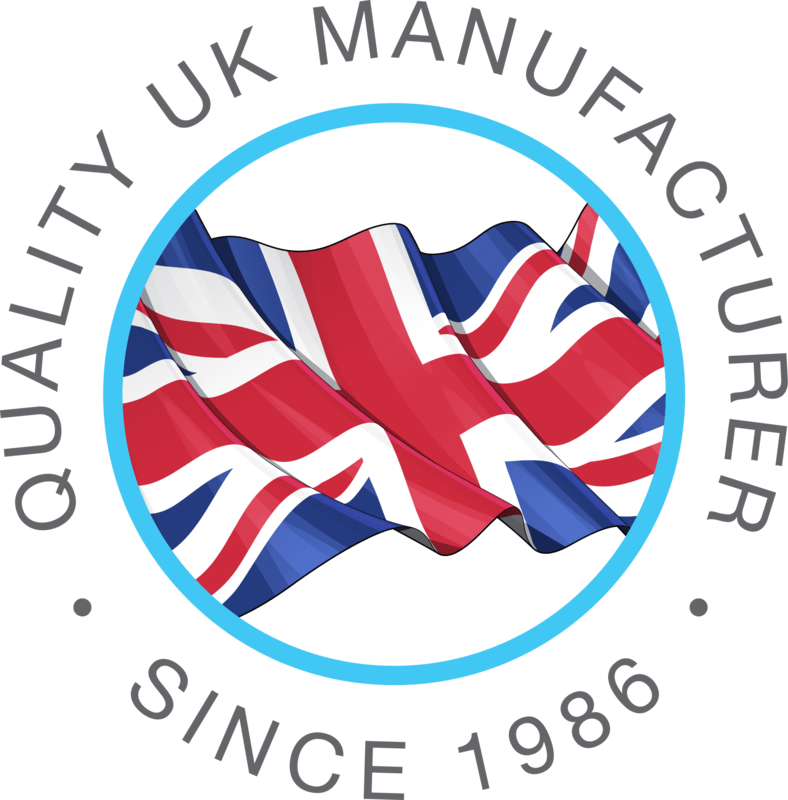 We chose to have the cartons litho laminated for print quality, laminating a 190gsm silk paper to a lamination grade E flute in-house. To bring the packaging alive even further we worked closely with Celloglas and had Celloglas apply a soft touch film laminate and Celloscreen glitter varnish on our disco ball and spot UV on our snow fall, stars on the tree and Saxon Packaging logo. The project was great fun to have worked on and the end result we are very happy with – we hope you agree! If you would like to know more about bespoke packaging design and lithographic printing for a luxury packaging finish get in touch.